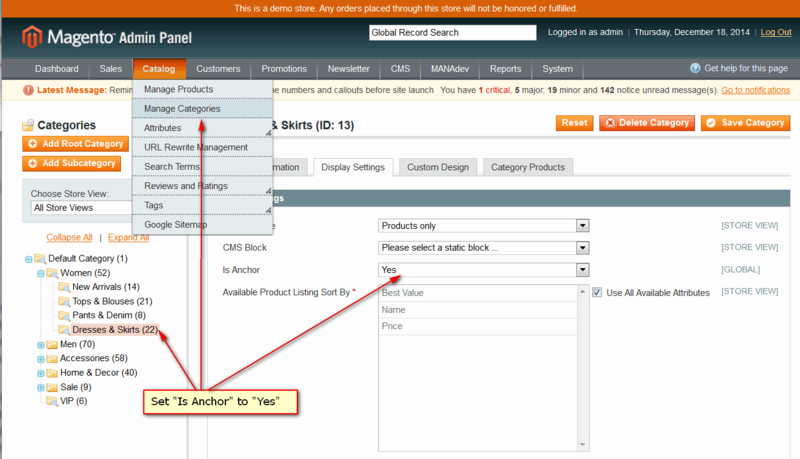 Multiple Select in Layered Navigation (filters) extension by MANAdev for Magento e-commerce platform extension doesn't require any global configuration or setting. It just start working out of the box as soon as you install it. This extension will take effect only for anchor categories. 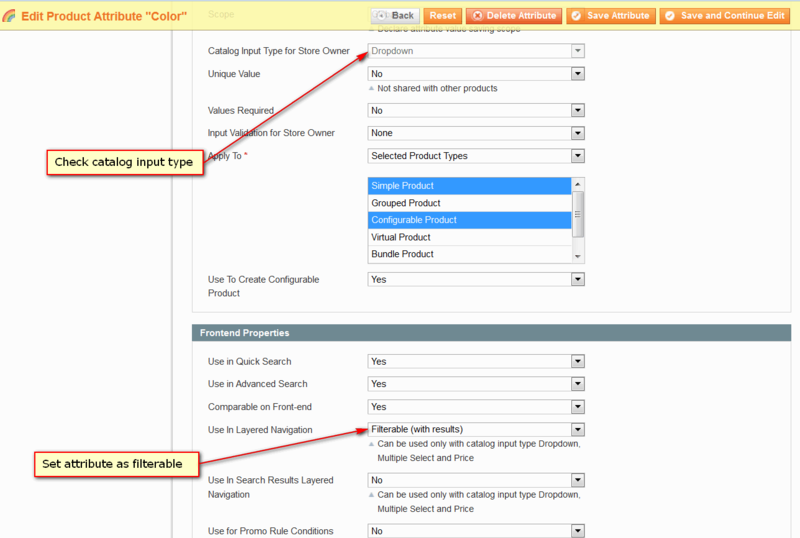 If you need additional filter, you need to set up attribute properly. Check, if Is Anchor field value is set to Yes. In Use in Layered Navigation dropdown select Filterable (with results) or Filterable (no results), depending on your wish. Filterable (with results) means that links will only appear for values where the number of results (the number in parentheses next to each value) is greater than zero. Filterable (no results) means that links will appear for all values, whether the number of results is zero or greater. In order for an attribute to appear as a layered navigation filter, the Catalog Input Type for Store Owner must be Dropdown, Multiple Select, or Price. This controls the number of possible filter options, and makes them consistent.